Posted by Ada Wang on 11/29/2018 10:47:11 AM. 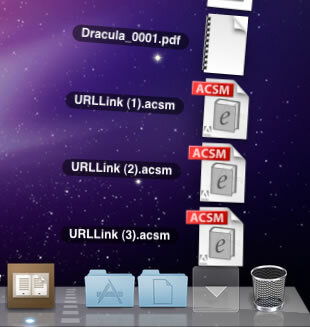 Most time we will download a .ascm file after purchasing an ebook online. It has .ascm file extension and is the Adobe key to download the .pdf or .epub document. 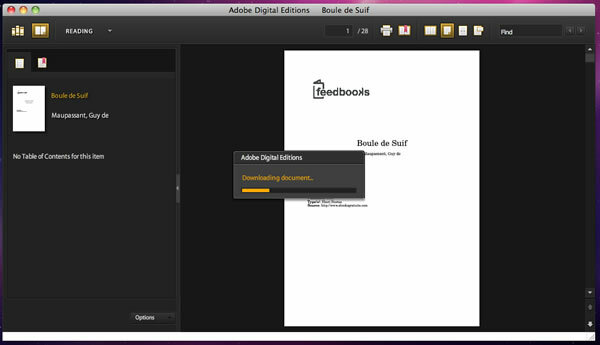 Step 1: Download Adobe Digital Editions(ADE). Step 2: Register an Adobe Account, Authorize your ADE Copy with Adobe Account. Step 3: Open .acsm with authorized Digital Editions to Download eBooks. Double click .ascm file, and it will be opened with Adobe Digital Editions as default, and it will open a window to show the ebook is downloading (You must connect the network). After downloading EPUB or PDF with .ascm file, the ebooks will be protected by Adobe Adept Protection. You can't copy the ebook to any other devices unless the device supports Adobe DRM, and you must read it with your Adobe Account. That means you can transfer the ebooks to these e-readers. After downloading the ebook, you can delete the .acsm or back it up for downloading ebooks again. Some body asked how to remove DRM from .acsm and find a software called ACSM DRM Removal, which is the mean of how to remove DRM from Adept EPUB and PDF, because the ebooks are protected by Adept DRM, but not .acsm file. Here is an easy software helps you remove drm from Adept DRM on ePUB and PDF. When the DRM removed, you can read the ebooks on any devices with any ebook reader software.